We offer transportation services nationwide, but we also provide transportation and storage of exhibits locally. Tight for space to store your exhibit? We can store it, ship it to your next show locally or nationwide and then return it safely to storage until your next show. Exhibit Express manages all local pick-up and deliveries in the North East including Massachusetts, New Hampshire and Rhode Island. 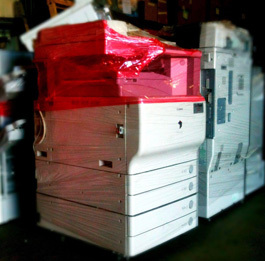 Services include motorcycle moves, copier relocation and fitness/rehabilitation equipment. Contact us to move special equipment from one floor to another, down the street or to temporarily store it in our warehouse.